4G announcements are raining left and right from the carriers, since the marketing departments are working overtime to counter the Verizon iPhone introduction. T-Mobile just lifted the veil over the 4G version of its Samsung Vibrant - the Galaxy S 4G - which will be available for purchase some time this month. The phone has similar specs with the Vibrant, save for a few very important aspects. It has an HSPA+ radio inside, made by ST-Ericsson, which can theoretically take full advantage of the current 21Mbps HSPA+ network of T-Mobile. The rest of the 4G gang on T-Mo now goes up to "only" 14.4Mbps - in theory, that is. The other major differences are that this one is running Android 2.2 Froyo out of the box, has 16GB of memory and, last but not least, it has a bigger 1650mAh battery to compensate for the additional battery drain that 4G brings along. Oh, and why no camera flash for the 5MP shooter again, is beyond us. The carrier has included T-Mobile TV for watching free content over 4G, like ABC News, Fox Sport or PBX Kids on-the-go. Samsung Media Hub is also present for buying or renting movies, music and TV shows. 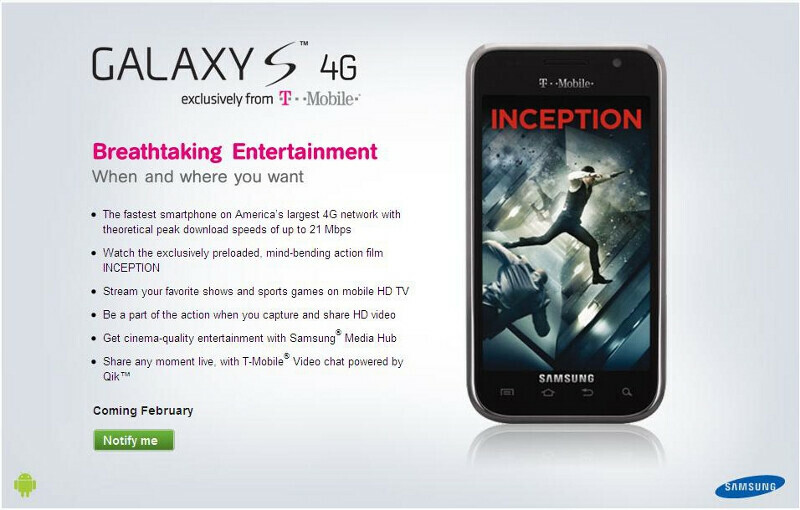 The Galaxy 4G will come with "Inception" preinstalled, to try and lure you in using the Media Hub more often. Other multimedia goodies include Slacker Radio, as well as the doubleTwist with AirSync apps for wirelessly syncing media with your home computer. Qik is the video chat program of choice on the T-Mobile Galaxy S 4G. We can't wait to test the download speeds on this one, and compare them to the slower HSPA+ radios on the T-mobile myTouch 4G, or the T-Mobile G2. Something tells us that until Big Magenta rolls out its 42Mbps upgrade of the network by the end of the year, the speed differences in real life won't be very significant. really? what phone on the market has more power than a galaxyS device? what phone is faster than 21mbs on the market right now? perfect for tmobile? absolutely. its the strongest and fastest. Well people never learn their lesson, always wait for the 2nd generation of a new device. I didn't get the Vibrant for that reason...and also I wasn't ready for an upgrade quite yet. Well the 3rd gen will be better than the 2nd. And the 4th gen would be better than the 3rd. And the 5th, 6th, 7th...... Maybe I should just never buy another phone since I want the best version. Yeah that's it! Biggest upset for me is that this one comes bundled with a much better movie than original Vibrant, IMHO. Avatar blows. I have to agree with luis. They need to be competing with the big dogs. 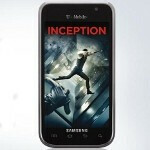 T-Mobile is considered the bargain cell phone company but provide the fastest speeds. Step it up T-Mobile. You deserve to put out a much better product.